Considering its name and the crowd, the LA Coliseum would have been a better venue for the unveiling of Jeep’s 2020 Gladiator. Okay, maybe that’s too big, but nonetheless it was packed to standing room only inside the North Plaza tent at the LA Auto Show where after a nearly 30-year hiatus Jeep rolled out its new pickups. Yes, there’s more than one Gladiator because Jeep went big–really big when it came to taking on the growing and highly competitive midsize truck segment. “This is the all new Jeep Gladiator Rubicon,” Tim Kuniskis, head of Jeep, said when revealing one of four trim levels. “Whether buttoned up or opened up, what you have right here is the most capable midsize truck ever.”And then Kuniskis kept on throwing punches like a guy who’s been pent-up and waiting a long time—nearly three decades in this case—to get back in the ring. Dominant numbers are sure to turn heads: Unmatched crawl ratios, up to 30 inches of water fording, best-in-class of towing (7,650 pounds) and best-in-class 4×4 payload (1,600 pounds). Power will come courtesy of the 3.6-liter V6 Pentastar with six percent improvement in fuel economy bolted to an 8-speed automatic or six-speed manual transmission. (Yes, manual fans, Jeep has heard your pleas and knows that some of you prefer driving stick. But still, it’ll be interesting to see the take rates. )“This brand has the most vocal fan base on Earth and they’ve been prodding us through every imaginable channel for years,” Kuniskis said. So, like the old saying goes, the squeaky wheel gets the grease, and in this case, a 260-hp oil burner will also be available in the next Gladiator. “Next year we’ll add a 3-liter EcoDiesel to the option list providing virtually 442 pound-feet of torque to power you through anything or just effortlessly spin a new set of 40s,” Kuniskis announced. Carefully managed power is always good policy so the Gladiator will come with over 80 standard and available safety and security features including blind-spot monitoring, adaptive cruise control with full stop, forward collision warning and automatic emergency braking. 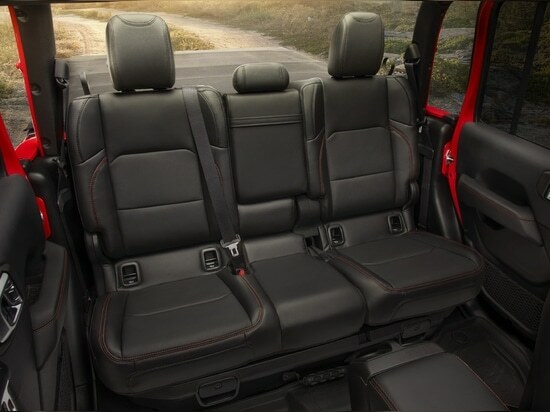 The only open-air 4×4 pickup truck with soft top and two hardtops will get dozens of different door, top and windshield combinations. 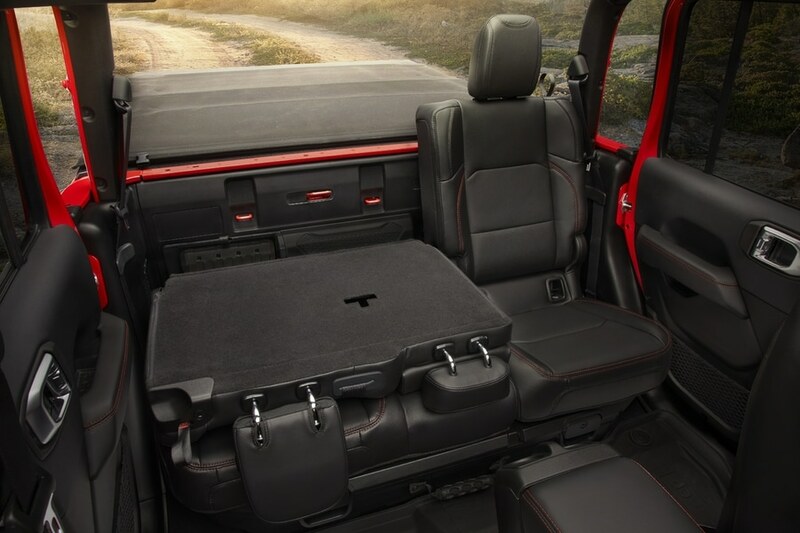 Lightweight, high-strength aluminum doors, hinges, hood, fenders, windshield frame and tailgate help curtail weight and boost fuel economy.The five-foot steel bed can be optioned with a spray-in bed liner, bed divider and tonneau cover. 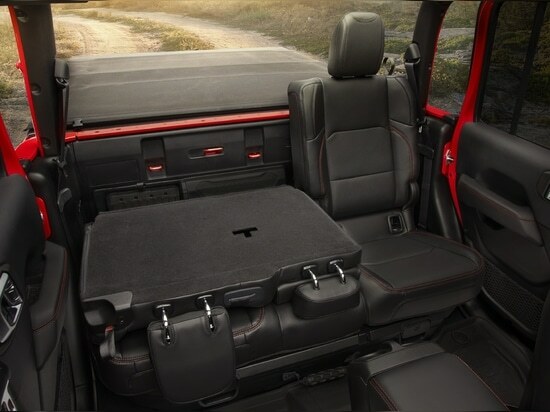 The full-size spare tire and mount is located under the bed, behind the rear axle and capable of holding up to a 35-inch tire. A fourth-generation Uconnect system includes Apple CarPlay, Android Auto and the choice of 7.0- or 8.4-inch touchscreens with pinch-and-zoom capability. Forward-facing off-road camera available on Rubicon allows obstructions on the trail to be easily seen. What can’t always be seen are the demands and impulses of consumers who are constantly wooed by ever-changing products and deals. 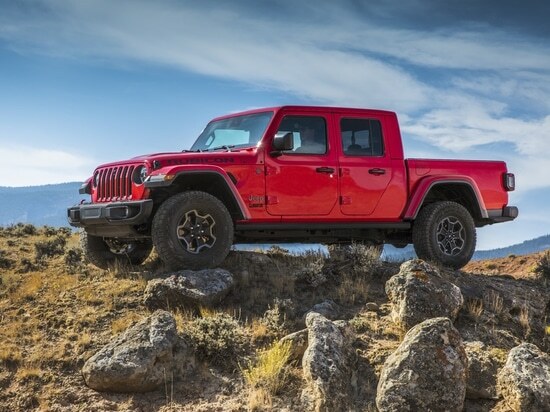 So, what separates Jeep Gladiator from its competitors? 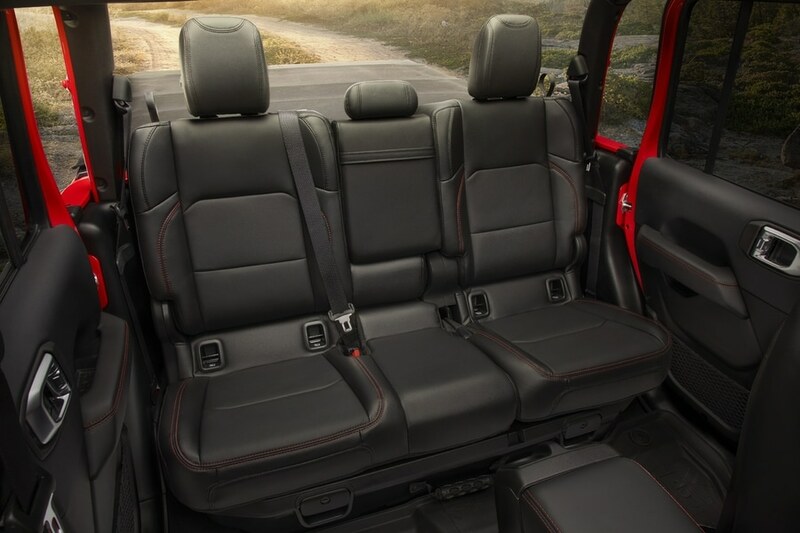 Will that be enough to attract new buyers who may have never considered owning a Jeep truck? 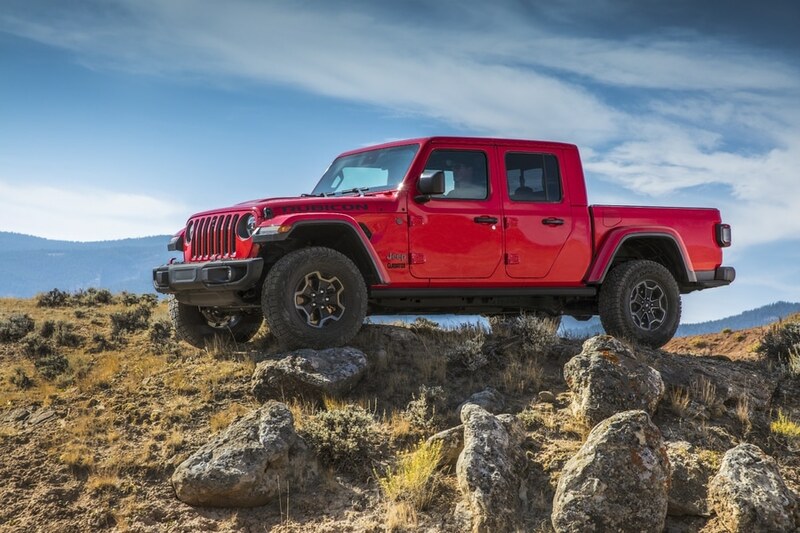 The 2020 Jeep Gladiator is available in four trim configurations: Sport, Sport S, Overland and Rubicon. Built in Toledo, Ohio, look for the truck to arrive in showrooms in the second quarter of 2019.